Whether you’re planning to have a wedding reception, or organising a company event, there are certain ways you can apply to simplify your catering without incurring extra costs- of course, catering saves you money. However, with dozens of menus out there, it can be difficult to know where to start from. 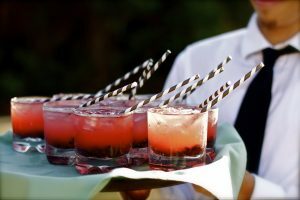 One thing you must know beforehand is the types of catering, and this is a good starting point. With each type having slightly distinct features (pricing, planning, ordering procedure, and menu), you will be able to know which catering suits which event. Catering types include social catering, wedding catering, office catering, and concession catering. Let’s explore the last two in detail. What a better way to start the day! A breakfast menu that is full of bagels, fruits, pastries, and yogurt is not only great but also popular. This can be minimum fuss dishes for on-the-go executives and other busy clients. Lunch box options are a great innovative idea suitable for busy employees who don’t have time to break for lunch. It is also ideal for informal business meetings. This can be served with sandwiches. Being an alternative to late lunch, afternoon tea can be irresistible. This category involves sporting tournaments, seasonal competitions, and other public events. Typically, catered food will be available at these events. If you’re providing catering services at such occasions, you need to have a range of menu choices since lots of people will be present- and catering for these occasions may take a pro. From hamburgers and chili to hot dogs and sausages, you need to have them all.